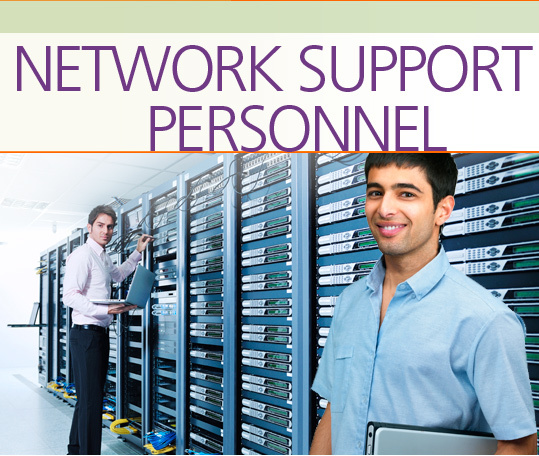 Network Support Personnel provide technical support to end users by resolving hardware and software problems and maintaining the overall functionality of the network systems. In the Network Support Personnel Career Extension, students learn how to interview for a job and discuss their education, training and work experience. They learn about job responsibilities, work conditions, and company guidelines and policies. They discuss equipment and supplies, describe procedures with a co-worker, and diagnose and solve a network problem. They learn how to deal with feedback from both clients and superiors and talk about their strengths, weaknesses and goals for the future.